The first time I heard a Thievery Corporation song was from the 2004 "Garden State" motion picture soundtrack. I'm a big fan of down-tempo, chill-style music, and TC fits the bill perfectly for me, but it wasn't until I heard Saudade that all their style and sound culminated into this gorgeous lush record featuring various singers. It's kind of a soundtrack for a film that doesn't exist; some obscure foreign movie made in the 1960's featuring various love themes and cross continental love affairs. It's perfect for rainy days. It's perfect for heartache. It's perfect for listening to the occasional record pops while day dreaming. I'm listing this purely for the gorgeousness of the music. It has a high production value, but it's the best thing that Thievery Corporation has ever done and I respond so strongly to this whole album that I've been playing it constantly. It's beautiful. Saudade can be purchased on cd, on vinyl(and this is how this album needs to be heard), and via iTunes. Alicia Lemke was a student at Berklee College of Music here in Boston. Over the years her music transitioned from a girl-and-her-guitar sound into the beautiful, ethereal folk-electro-pop featured on her first and only full length album. Tragically, Alicia lost her battle to Cancer a year before this album came out. Her friends and mates pushed forward and this wonderful album was released close to the anniversary of her passing. It's lush and her vocals sweep and swoop all over the place and it's just a gorgeous album. I never met Alicia, but she once reached out to me on Facebook back in 2010 complimenting my photography and hoping we would get to work together someday. She moved back to Madison WI, and I hoped that someday she might trek back to Boston and I'd try to work with her. Sadly I never did. I play this album quite a bit, and I wish she were still here to hear how it turned out. I love Jennifer Kimball's voice. 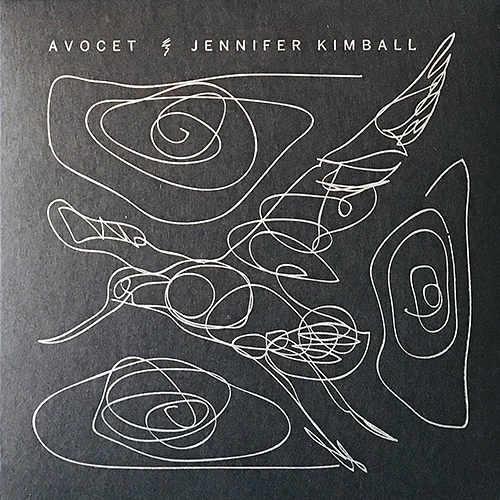 From her haunting and amazing melodies as part of "The Story" to her solo albums "Veering from the Wave", "Oh Hear Us" and now this, her first cd in over a decade, "Avocet". This album was wonderfully produced by man-of-all-talentsAlec Spiegelman, whom I've photographed in the past. Alec brings a minimalist touch to these songs which occasionally feature woodwinds, and everything feels like a private diary of Jennifer's; letting us peek into her thoughts and stories and experiences. I have to be completely transparent on this - I actually worked a little with Jennifer and one of my portraits of her serves as the cd booklet cover, but that aside - this is such a beautifully written and performed album. It's stark, it's melodic, and it soars. Avocet can be purchased via Jennifer's website, Amazon or directly through her.